Islam Around Us: Indian army kills five near Kashmir border. militants in a forested area of Kangan, near Srinagar. SRINAGAR | AFP | 31 Aug 2013 :: The Indian army said Saturday it killed five suspected militants in northern Kashmir near the Line of Control (LoC), the heavily militarised de facto border dividing the disputed Himalayan territory between India and Pakistan. An Indian army spokesman claimed the alleged militants were infiltrating from Pakistan-administered Kashmir into Tangdhar on the Indian side, 180 kilometres northwest of the region’s main city of Srinagar, when they were killed. 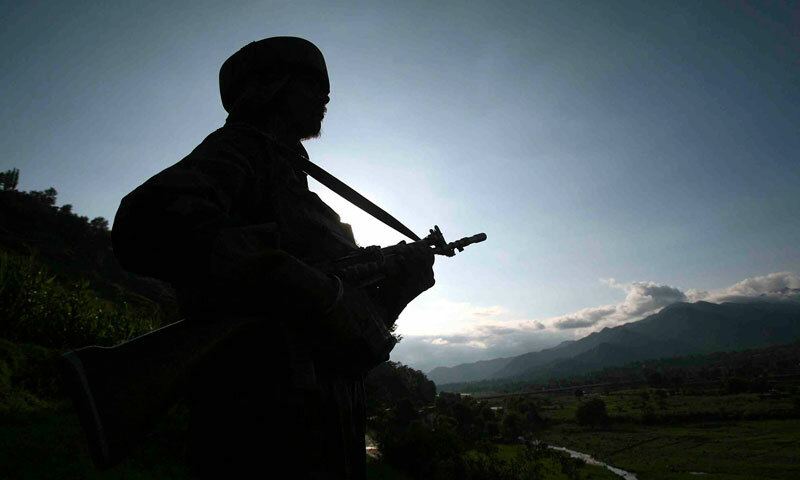 Indian “soldiers fired upon a group of militants who were seen moving in the area during the night. Five bodies and six automatic rifles were recovered from there after firing from the militants stopped,” Col Rajesh Pandey told news agency AFP. AFP said the incident could not be independently verified. According to the Pakistani state-run news agency APP, Indian troops killed at least four men in a siege and search operation in Tangdhar area of Kupwara district.